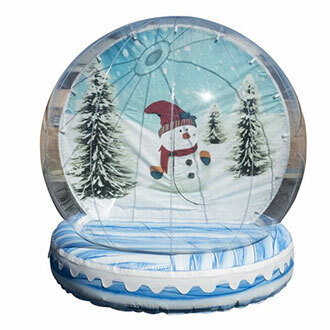 Description: What better way to take a picture then inside a snow globe, this inflatable rental will be the best photo prop at your event. Every guest will want to take a picture inside our Snow globe rental. Snow Globe requires one attendant or volunteer to assist guest getting in an out of globe. Don't forget to check out our large selection of inflatables, we also have many new carnival games, and new concession machines. Some of the towns in our free delivery area are Paramus NJ, Garfield NJ, Elmwood Park NJ, Fair Lawn NJ, Franklin Lakes NJ, Wyckoff NJ, and many more town in northern NJ where our inflatable rentals have free delivery. Free online quotes via our quote page.